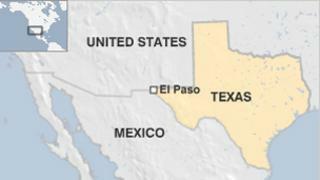 US officials are investigating the crash of a Mexican drone in a residential neighbourhood in the border city of El Paso in Texas. It crashed on Tuesday and has been returned to Mexico, officials said. The unmanned aircraft was part of a surveillance test by Mexican authorities that ended when the craft went out of control, US reports said. It is unclear whether the Mexican government had permission to enter US airspace near the city. A spokesman for US Customs and Border Protection declined to provide many details about the crash. On Tuesday, the US responded to a citizen's call and "recovered a small unmanned aerial vehicle which belonged to the government of Mexico", US Customs and Border Protection spokesman Roger Maierwas quoted by the AFP news agency as saying. The National Transportation Safety Board, which has the lead in the investigation, said the agency was now working to determine why the drone crashed, spokesman Keith Holloway said.